Location. Just West of Downtown Flagstaff off of Route 66, the homes in Presidio in the Pines are only minutes from the Downtown Flagstaff area. The Presidio neighborhood also offers easy freeway access. Low Maintenance. The lots in Presidio in the Pines are small – around 4,000 square feet. This provides homeowners with the ability to keep maintenance to a minimum. Amenities. With large park areas, children’s playground, and trails, there is plenty of outdoor common area space for enjoyment. Price point. The majority of the homes being built in the Presidio in the Pines neighborhood in Flagstaff are being offered through 2 of the main builders in the Flagstaff area: Capstone Homes and Miramonte. The base prices for this community start in the high $200,000-low $300,000 price point and go up to the high $300,000’s. 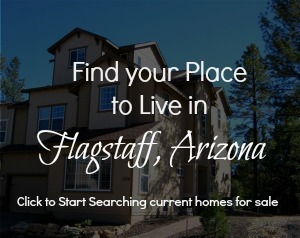 Considering the median price in Flagstaff, AZ real estate is $333,000 (April 2015), the price point of having a newly built quality home makes this community very attractive for homebuyers. Whether buying a second home, a family home, or downsizing from something larger, homebuyers in Flagstaff are wise to consider Presidio in the Pines. For current pricing and available floor plans, fill out the contact form located here.